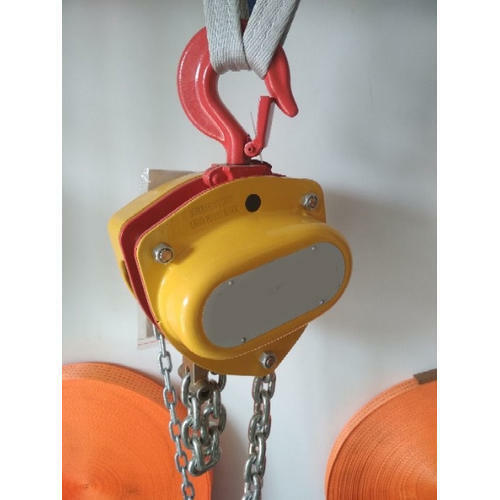 We are a reputed entity, engaged in offering a qualitative array of 3 Ton Power Pull Chain Pulley Block. We, Neha Enterprises from 2018 are famous amongst the esteemed Wholesalea Trader of an exceptional quality assortment of Caster Wheels and Pulley Block. Offered products range consists of Caster Wheels, Electric Wire Rope Hoist, and SS PU Twin Caster. The presented products are designed by making use of supreme-grade material with the aid of modern machines. These products are known for their long service life, easy usability, lightweight, crack resistance, and high strength.